... just a glimpse of the Torngat Mountains National Park. 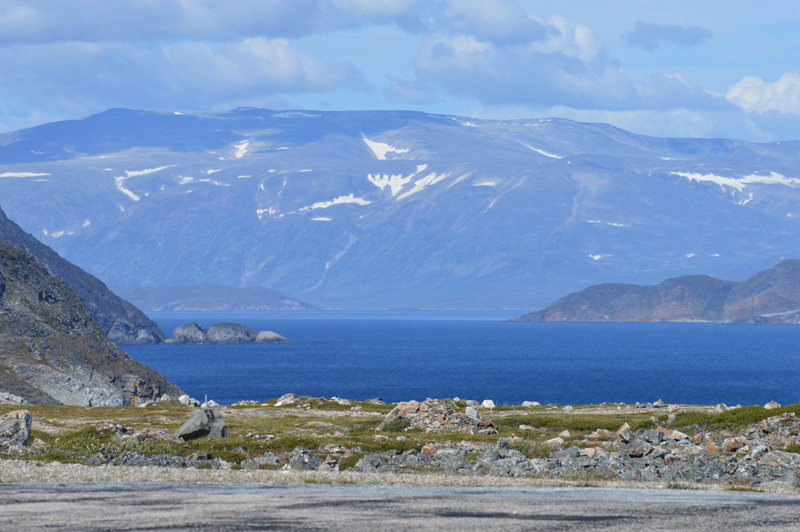 Seen from the Saglek airstrip, the mountains and islands of Saglek Fjord look inviting. It's a quick walk down the hill to the landing beach where boats wait to take us to the Base Camp. Thanks to Muriel Edmunds for the photo.